Hong Kong is located within the continent of Asia, found on the map at 113.830 to 114.407 longitudes and 22.150 to 22.117 latitude. It shares its borders with its closest neighbor, China. Hong Kong covers a land area of 1,054 sq. km and a water area of 50 sq. km for a total of 1,104 sq. km, making it 188th in the list of the world’s largest nations. According to 2012 statistics, Hong Kong is home to 7,153,519 people. Given the land area, it has a population density of 6787 people per sq. km. Note that Hong Kong is a dependent territory of China. Hong Kong’s currency is the Hong Kong Dollar or HKD. The people are referred to as either Chinese or Hong Kong. Its country code is 852. Hong Kong happens to be one of the most visited cities in the world, but very few understand its standing with China as a country. In fact, one of the most Googled questions about Hong Kong is whether it’s actually within China. The answer to this question is not as simple as you might think. Hong Kong has its own money, issues its own passports and immigration policies, as well as its own legal system, which makes it stand out from China. 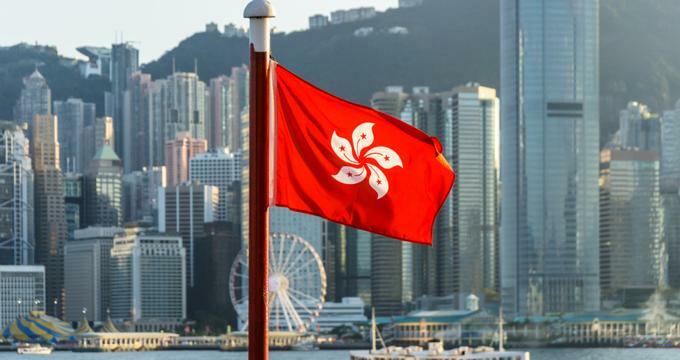 But Hong Kong does fly the Chinese flag in its government structures and its chief executive is appointed by Beijing, which means that it’s not entirely independent from China either. Technically, Hong Kong is indeed in China. For many reasons, however, Hong Kong is a country in its own right. Many people from Hong Kong consider themselves Chinese, though no necessarily part of China. The world knows this because they send their own Olympic team, sing their own national anthem, and wave their own flag. Indeed, Hong Kong was never an entirely independent country. It was a colony of the United Kingdom since 1997 and was ruled by a London parliament and was considered a subject of the Queen. In many aspects, it was a dictatorship. After the handover, Hong Kong became a part of China as a Special Administrative Region, which also allowed it to function independently. Below are some of the ways that Hong Kong operates independently. - Hong Kong has its own basic law which provides that it has its own currency, legal system, and parliamentary system. This system came from the agreement between Britain and China which spans for fifty years. - Hong Kong exercises many forms of self-government. The parliament is composed of members that are partially elected by the populace and partially appointed by Beijing (approved from caucuses from business and policy groups). Its Chief Executive, however, is appointed by Beijing - a matter that has become the subject of protests from those who wish to have more democratic rights. Thanks to these protesters, Hong Kong has some political tensions with Beijing. - As mentioned earlier, Hong Kong’s legal system is separate from that of Beijing. Hong Kong’s laws are currently framed after common law and is deemed to be impartial. This means that the Chinese government have no right to arrest the people of Hong Kong without the appropriate international warrant of arrest. - Hong Kong also manages its own immigration and passport system. This is why tourists can enter Hong Kong without a visa (because of its visa-free system) but have to apply for a visa if they want to go to China. Conversely, Chinese nationals will also need to get a permit in order to enter Hong Kong. People from Hong Kong have their own passport, called the HKSAR passport. - Import and export between China and Hong Kong are also regulated - something which has become relaxed over the years. Nowadays, investment between the two countries has been freer flowing. - The Hong Kong Dollar has been pegged to the US Dollar. It is also distinct from the Chinese Yuan. - Hong Kong’s official language is Cantonese and English. Mandarin is still spoken in Hong Kong, but not as much as the former. - Although the two have similarities, Hong Kong is culturally distinct from China in many ways. This is all thanks to the influence of the British and the rest of the international community which Hong Kong has been open to. While Hong Kong remains to be a home of Chinese tradition, it continues to celebrate festivals, rituals, and other practices that have been banned in China. As mentioned before, Hong Kong is one of the most visited countries in the world. And rightfully so, as it is also one of the most unique places you’ll ever visit. Here are a couple of things that you may not have heard of yet. - Hong Kong’s official name is actually Hong Kong Special Administrative Region or HKSAR. Just like Macau, the name was created after the former British colony handed the country over to China. - Hong Kong means Fragrant Harbor. - Back in colonial times, there was a Noon Day Gun that was fired in Causeway Bay every day at noon. Today, the cannon is still fired every day at the same time. This is how the saying ‘only mad dogs and Englishmen go out in the midday sun’ came to be. - With a population density of 6787 per sq. km, Hong Kong is the world’s most densely populated city, with the densest area to be the Mongkok district followed by Ap Lei Chau which has been known to be equally crowded. - Although Hong Kong is a booming city, the place is actually filled with lots of greenery. About 40% of the land is countryside and more than 250 of its islands don’t have people living in them at all. You’ll even find monkeys and snakes in its national parks and see pink dolphins off Lantau Island. - The people of Hong Kong have more Rolls Royces than any other place in the world. This is proof of how rich the city is. - Hong Kong also has the most skyscrapers in the world. It has over 8,000 buildings with more than 14 floors each. It’s followed by New York, which only has half as much. Hopefully, knowing more about Hong Kong and its location will convince you to make it your next travel destination.